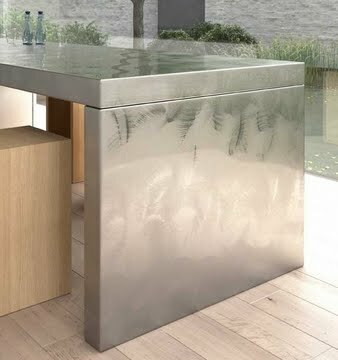 Hobbs & Porter manufacture bespoke stainless steel kitchen end panels for use in domestic kitchens throughout the UK. Stainless steel end panel in the image is 80mm thick. Almost any other end panel thicknesses can be produced.